When Emma posted “can you help, we need a race report….. I reacted straight away without hesitation, almost a sense of urgency & said I’d be happy to do one, although I had no real idea of what was expected so I hope this fits the bill. 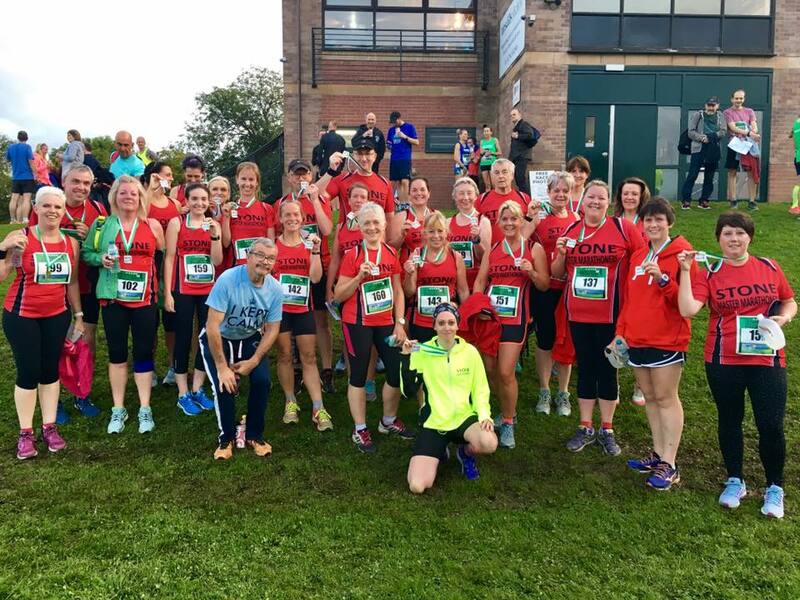 The urgency came from me still feeling on a high from completing the “Dave Clarke 5” race and I felt I wanted to share the positive feeling with, well…. everyone but more so with some of the newer members of the club, in the hope it will encourage them to give a future race a good go. After only my 3rd official race with the club I arrived home and walked up my driveway with a very big spring in my step, having dropped Jools (Julie Hargreaves) off after the race, my beautiful friend that got me to do my first race some 15 years ago when I couldn’t run for a bus!!!! On Thursday evening I had a feeling of happiness, achievement and complete elation, and absolute belief I can deal with anything that gets thrown at me. I kind of know that sounds a bit over the top but you know what it’s so true, so it doesn’t matter does it…??? I don’t want to harp on about issues I’ve had recently and goodness knows folk have much bigger traumas to deal with but life throws some pretty big emotional boulders at us sometimes so we need a coping mechanism. Running has become such a means to me. I’ve said recently that before I go out on a club run I feel like someone has filled my brain with thick treacle…!!!! Everything is cloudy and weighs heavy. BUT… when I finish a run it’s as if someone has poured the purist spring water through my mind and everything is ok with the world. AND you know what’s even better..!!!! After a race the feeling is even more special. You put on your club vest, fasten on your race number and become one of the team immediately. At the Dave Clarke 5k race there was a real mix of long-standing fast runners, to intermediate runners and new members that were almost scared stiff of what was ahead, but once you spot another Bat the camaraderie is amazing, old and new mixing together, it doesn’t matter about your speed or your capability, we are all one Team. The sense of belonging is very powerful. To all our new members, never fear about entering a race, the moment you make that decision you will experience something very special. You will feel part of a group of like minded people who will want to encourage you and bring out the best in you. 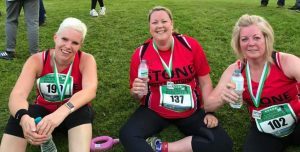 I’d like to thank each and every one of the club members I run with and those I don’t, I have said on more than one occasion that becoming a Stone Master Marathoner is one of the very best things I’ve done in a long time, I feel very blessed to have made such wonderful new friends. A special thank you to Bill Clarke for all your time and encouragement, I’m becoming a more accomplished runner because of your coaching and guidance and the absolute ability to make me feel guilty whenever I miss a session…..lol and of course a special mention to Anne Griffiths who was amazing, staying towards the back of the group as a support to runners who are new to racing.